Few things are as exciting as the moment you finish your Invisalign treatment. While you've been watching your smile improve for the duration of treatment, this is the first time you're seeing your gorgeous new smile in all its glory – so there's good reason to be excited! That said, this isn't the end of your orthodontic treatment. After finishing the active phase of Invisalign care, you'll enter the retention phase of your treatment, and this is critical to maintaining your smile over the long-term. At All About Braces, we're committed to the success of your smile, so we'll provide detailed instructions on caring for your smile when you visit our Aurora, Arvada, Lakewood, Thornton, or Denver, CO office to finish your Invisalign treatment – but to get you started, here are a few simple post-Invisalign smile care tips. The main thing you'll need to do after finishing the active phase of treatment is to be diligent with your retainers. It's critical that you wear your retainers for the duration and frequency that we tell you to, as without proper wear, your teeth will simply shift back to their old positions. As an Invisalign patient, though, you'll likely have the convenience of using your last pair of aligners as retainers, which means you'll still enjoy the same conveniences you had during Invisalign treatment. Thanks to orthodontic treatment, your teeth have reached an ideal alignment – but it's still just as important to keep them clean. Brushing and flossing is the only way to prevent cavities and keep your new smile looking healthy and beautiful. However, now that you've finished with treatment, you won't have to keep up the 4-times-per-day brushing schedule you had during treatment: you can go back to brushing twice a day and flossing daily. What matters is to stay consistent and diligent with your oral hygiene. As your Denver orthodontist, we've helped correct the alignment of your teeth to help you achieve a new smile. But you'll still need to schedule regular checkup appointments with your dentist to ensure your teeth stay cavity-free and your smile lasts a lifetime. Regular checkups and dental cleanings are critical to preventing cavities and keeping your smile healthy. For most patients, that means scheduling a checkup appointment twice a year, but we encourage you to talk with your dentist to find out how frequently you should make appointments. Ultimately, caring for your teeth after Invisalign treatment will look very similar to how you cared for them before: aside from wearing your retainer, it's all about consistent oral hygiene and regular dental checkups. The difference is that now, you'll be looking after a beautiful, healthy new smile that you feel proud to call your own! We wish you luck in taking care of your new smile, and as always, we're here to help if you have questions. Contact us today to learn more about caring for your smile after treatment, and feel free to request an appointment online if you'd like to schedule a visit. We can't wait to hear from you! Starting treatment with braces can be an intimidating prospect, but heading back into the school year with a brand new set of braces can be even more unsettling. At All About Braces, however, we've helped plenty of school-aged kids in the Denver area achieve a new smile through braces, and experience has shown us that life with braces during school is truly #NBD. If you're nervous about starting school with braces, here are a few important things to keep in mind. Be honest here: do you think you're the only one that's starting the school year with braces? While we can treat patients at any age, the vast majority of orthodontic patients start braces between the ages of 9 and 14. That means that generally, most of the kids in your grade will all get braces around the same time. You likely won't be the only one heading into school with braces this year, and the majority of your classmates will have either had braces recently or be starting orthodontic treatment soon. On another note, braces aren't nearly as bulky as they used to be. Modern braces are thinner, more comfortable, and – best of all – more discrete and aesthetically pleasing than ever. Instead of massive metal strips, you'll be heading back to school with sleek, small, and thin brackets on your teeth, which means your braces will be less obvious in pictures and in day-to-day life. While it may seem daunting at first, you'll forget you're even wearing braces by mid-semester! Finally, it's important to remember that your braces aren't some kind of punishment: they're your ticket to a gorgeous new smile that you'll get to enjoy for a lifetime. While braces can be inconvenient, you're working towards optimal orthodontic health and ensuring that your best asset – your smile – is one you feel great about. If you find yourself nervous about wearing braces to school, just think about the confidence, self-esteem, and happiness you'll get to enjoy when you get your braces off and see your new smile for the first time – and remind yourself that you'll get to enjoy that for the rest of your life. Going back to school with braces may not be the most fun experience in the world, but it's a small price to pay to get a beautiful, healthy smile for a lifetime. As always, feel free to reach out to us at our contact page if you have more questions about going back to school with braces, and if you're interested in pursuing orthodontic treatment for yourself, we encourage you to request a consultation online. We can't wait to hear from you, and we hope you have a happy, braces-friendly school year! Heading out on a vacation, road trip, or weekend excursion? We're excited for you! But if you're traveling while wearing braces, there's an extra layer to the preparation process you'll need to consider. Traveling with orthodontics is fairly easy, but you'll still need to take care not to forget any crucial supplies you need to care for your braces or your teeth. At All About Braces, our mission is to help patients throughout the greater Denver area through every part of the orthodontic treatment process – so if you're about to travel with braces, here's a quick checklist you can use to make sure you're completely prepared. This list isn't necessarily exhaustive – if there's anything you need that's particular to your own treatment, make sure to double check that you have it. But as a general packing guide, this checklist is a great way to help yourself pack everything you need for your braces. In addition to packing thoroughly, it may also be a good idea to brush up on how to handle orthodontic emergencies in case anything happens on your trip. And as always, if you have questions, we're here to answer them. 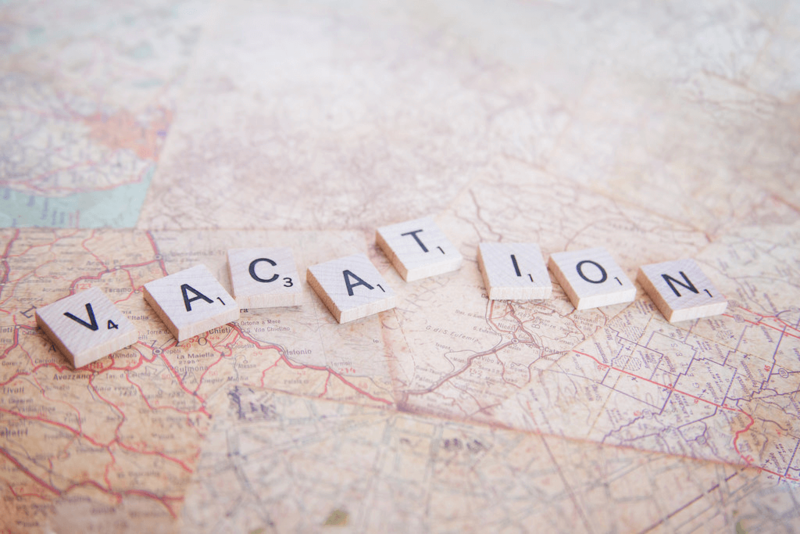 If you still have questions on how to care for your braces on vacation, we encourage you to contact us at one of our Denver, CO orthodontic offices, and if you'd like to schedule a checkup before your departure date, feel free to do so using our easy online form. No matter where you're going, we hope you have a great trip, and we hope to see you soon when you come back to Denver! At All About Braces, we strive to provide world-class orthodontic care to patients of all ages throughout the greater Denver area. We do this because, on a deep level, we believe that a new smile is more than just a cosmetic improvement: it can truly be a life-transforming change. In addition to providing braces and Invisalign to Denver patients through our regular practice, we're proud to regularly take part in the Smiles Change Lives program as well – powerful initiative for making a new smile accessible to anyone. Smiles Change Lives is a program that provides brand new smiles, in the form of quality orthodontic treatment, to patients who may not otherwise be able to get them. At All About Braces, we're proud to regularly participate in this program as a way of giving back to our community. We truly feel blessed to get to do the work we do, and participating in Smiles Change Lives is just one way we show our gratitude. Thank you so much for your help! My daughter got her braces off on Tuesday and she is so thrilled. You have helped me to boost her self confidence. She smiles instead of hiding. You have no idea the impact of what you do for families. I am so thankful and so grateful for your program and for the most amazing orthodontist in the world Dr. Hilary Baskin who has gone out of her way to make this happen. I can't explain to you how much it means to me as a mother. I am so thankful and so in debt to your program for helping me to see her smile again. There are no words that can adequately explain the gift that you have given to me and to her. You are angels and your program is full of angels and Dr. Hilary is more than an angel. Thanks to you and your program and beautiful people like Hilary Baskin for giving the gift of a smile without shame and embarrassment. You're amazing program and amazing Orthodontists out there in this world like Hilary, help to save kids from bullying and from depression. You save lives. You truly save lives! Thank you. Thank you. Thank you! We are truly in debt to you and we are so thankful for you. She smiles now!!! Thank you so much for this gift!!!! Sometimes, it's easy to forget the powerful impact that a new smile can have on a person's life – but letters like these remind us just how wonderful a new smile can be. We were honored to receive such a kind and thoughtful letter, but even more importantly, we were honored to give back to our community and help this patient achieve a new smile in the first place. If you're interested in pursuing a new smile for yourself through orthodontic treatment, we would be thrilled to help you. Feel free to contact us to schedule your consultation or to learn more about our practice or the Smiles Change Lives program. We look forward to hearing from you, and we hope we can change your own life with a new smile! What's an Orthodontic Retainer and Why Do I Need One? At All About Braces, we're proud to provide quality orthodontic treatment to patients in Aurora, Lakewood, Thornton, Arvada, and the greater Denver, CO community. If you're like most people, when you think about what orthodontic care looks like, you probably picture treatments like metal braces or Invisalign. While these are critical to successful treatment, though, they're not the only component to the treatment process – and no matter what type of treatment you choose, orthodontic retainers will play an important role. Hawley Retainer: Made from molded acrylic and metal wires, this sturdy, removable retainer is among the most common. Essix Retainer: Similar to Invisalign, these clear aligner-type retainers area a convenient option for patients that need 24/7 retention. Fixed Retainer: Fixed, or bonded retainers, are made from a small wire cemented to the back side of the front teeth. These are not removable, so they're most appropriate for patients with a high risk of tooth regression. So, why do people need orthodontic retainers? To answer this question, we have to understand the biology of the mouth. Once you finish your orthodontic treatment, your teeth will be in new positions and you'll have a brand new smile – but the underlying ligaments and tissues that support your teeth will not have adapted to this new alignment. Without retention, the "muscle memory" of these tissues will cause your teeth to drift back to their old positions, erasing your progress. A retainer helps to keep your teeth in place while your mouth adjusts, cementing your smile for a lifetime to come. Retainers are a vital part of the process of getting a new smile – and if you're interested in pursuing a new smile for yourself, we'd love to help. Feel free to request an appointment online to schedule a consultation at one of our Denver orthodontic offices. We can't wait to hear from you, and we look forward to helping you achieve the smile of your dreams through orthodontic treatment and maintain it for a lifetime through retention! At All About Braces, our mission is to help patients throughout the greater Denver area revitalize their smile through orthodontic treatment – and we're proud to help countless patients with that goal every day. If you're currently undergoing treatment with braces or are considering straightening your smile with braces, you probably already know there are a number of lifestyle adjustments to make during treatment. One of the biggest is diet: you'll need to adjust your diet while wearing braces, but it can be confusing to know exactly which foods to avoid. Thankfully, we're here to help. Hard Foods: Things like hard candies, hard-shelled bread, raw carrots and other raw vegetables, apples, or anything else hard or crunchy. Sometimes it's ok to eat these if they're cut into small pieces, but use extreme caution to avoid breaking off brackets. Tough Foods: Any tough foods that require a lot of chewing, like jerky or some other cooked meats, should be avoided or eaten with care to protect braces. Sticky Foods: Sticky foods can both break off brackets and get stuck in braces, making them extra important to avoid. Foods like laffy taffy, nut butters, gum, caramel, and other thick, sticky foods should be avoided during treatment. Anything Inedible: This may sound obvious, but many people have a habit of chewing erasers, fingernails, and other inedible objects. However, during treatment, these can pose the risk of damaging braces – so try to break these habits before starting treatment. While it can take some time to adjust to these dietary changes, keep in mind that they're only temporary – and they'll help to both protect your braces and help you achieve the best smile possible. Interested in finding out how orthodontic treatment can help you achieve a new smile of your own? We'd love to help. Use our easy online form to request a consultation at one of our offices. We'll work with you to create a treatment plan that suits your lifestyle and set you on the path to a beautiful new smile! What Causes Crooked Teeth and How Can You Help Your Child from Having Them? Just about everyone ends up needing braces if they want a healthy smile – but why is that the case? While a few people are born with perfect teeth, most of us need orthodontic treatment at some point. So what causes crooked teeth? And how can you keep your child from having crooked teeth? Why Do Most People Have Crooked Teeth? To understand why so many people develop crooked teeth and malocclusions (bad bites), we have to look to evolutionary biology. Humans have 32 adult teeth, which grow in from age 6 to age 21, ending with the third molars, or wisdom teeth. But here's the problem: wisdom teeth are something of a vestigial organ. That means that we don't really need wisdom teeth to survive – they're simply a leftover we inherited from previous species in the human evolutionary chain, such as Homo erectus and Homo habilis. In fact, it isn't just that we don't need the third molars to survive: most people don't have sufficient room in the dental arches to accommodate all 16 teeth. Our mouths are smaller than our evolutionary predecessors', but most people still have wisdom teeth grow in. This is one of the main reasons that so many people grow up with crooked teeth. How Can I Prevent My Child from Having Crooked Teeth? Unless your child is one of the lucky people who grow up with perfect teeth or don't have wisdom teeth at all, the best way to prevent crooked teeth is through orthodontic evaluation and treatment. Orthodontic treatments, like braces, are the only way to ensure straight teeth and a healthy smile. You should bring your child in for an orthodontic evaluation at age 7, as this is the best time to spot problems before they develop. By working with a trained, board-certified orthodontist, you can ensure your child gets the treatment they need and grows up with a beautiful, healthy smile. All About Braces is a comprehensive orthodontic practice serving the Denver, CO area. If your child is turning 7 soon or hasn't yet seen an orthodontist, we're always happy to provide a consultation – request one online today! Why Do We Wear Elastics? At All About Braces, we are committed to making your orthodontic experience exceptional for all of our Denver area patients. Part of that exceptional experience means that we want you to reach your goal of transforming your teeth into that beautiful smile you’ve always wanted as quickly as possible. That’s where following your orthodontist’s instructions come into play, including proper wearing and care of your elastics. Elastics are the small rubber bands that attach to your braces, usually connecting with hooks to the upper and lower side teeth or front teeth. They can come in a variety of colors and are used as part of your overall braces treatment to help adjust the position of the teeth in your mouth and the position of the jaw. 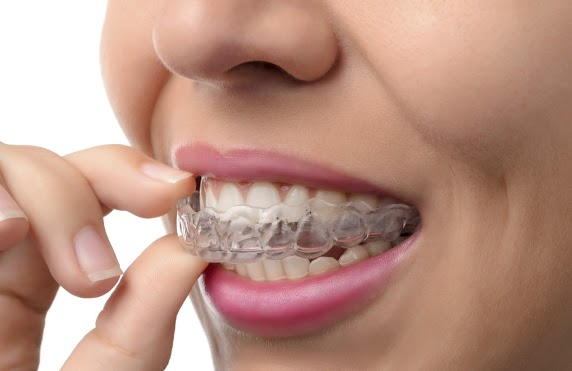 Braces work by using several different appliances that work together to apply pressure to your teeth and jaw that, over time, moves your teeth into the correct positioning for a proper bite and a beautiful smile. The brackets are permanently affixed to your teeth and then an archwire is attached with ligatures, or tiny rubber bands. These all work to move teeth up, down, left right and even to rotate them or pull them in or out. Braces are good at moving teeth in all of these directions. However, that may not be enough. If you have an open bite, where teeth are touching in back but not the front, or any other malocclusion such as a under or cross bite, your teeth may need more moving than braces alone can do. In these and some other instances, your Arvada orthodontist will prescribe elastics, or rubber bands, as part of the best orthodontic treatment. To get your teeth in proper position, we need a way to create enough force to move the entire jaw - these little rubber bands will do just that! You may think that no little rubber band can move an entire jaw, but the truth is elastics are effective and fast when properly worn and prescribed. In only a few months, we can significantly affect your jaw movement in the correct direction. The trick is, our patients must wear the rubber bands regularly, as directed. In some cases, we ask you wear them 24 hours, even when you eat. In other cases, you may remove them for full meals, but replace them immediately following and especially when you sleep. This will allow them to continually apply force to get that jaw moving into the correct position. Understand Position. Make sure when you are at our Thornton, Aurora or other Denver area office that you understand which teeth you need to hook your elastics to. Wear them as directed. Try to wear them 24-hours a day, if instructed, even when you eat. The more time they are on, the faster. Treat discomfort. When you first put on new elastics, you may feel some discomfort as your teeth begin to feel the pressure. This is normal and should go away soon. Some patients find rinsing with warm salt water a way to ease the discomfort. If soreness persists, call our office. Replace Often. Elastics will get worn from use and soiled from eating. Change them after each meal and before bedtime. It may take some time to get good at changing them, but you will with practice. Breaking Elastics. Your elastics may break on occasion. If one breaks, be sure to replace both of them. If you run out, please give our office a call and we will get you more quickly. Call All About Braces With Any Questions! 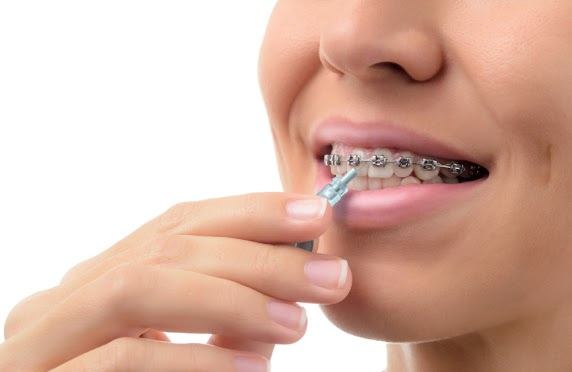 We hope you can see how important that wearing your elastics, or rubber bands is to your overall orthodontic treatment, especially the bite-fixing phase, which is usually the longest and most difficult part of the whole process. Whether you find rubber bands uncomfortable or annoying, this is definitely a time when it pays to “just do it!” and you'll be on your way to a beautiful smile and healthy bite without braces! If you have any questions about wearing elastics or want to get started with braces treatment, call the location most convenient to you or complete our online appointment request form. We look forward to beginning your orthodontic treatment in Aurora today! Can You Use FSA Money for Braces and Orthodontic Treatment? With the end of the year rolling around, many people are looking for last-minute ways to save on taxes. If you still have money in your Flexible Spending Account (FSA), you'll need to spend it before the end of the year to avoid forfeiting it, as most FSAs don't roll over year to year. But what if you don't have any outstanding medical costs you need to cover? If that's the case for you, convenient orthodontic treatments like Invisalign are a great way to improve your overall health and well-being by straightening your smile, even if you don't have a pressing condition that requires treatment. But is it possible to pay for braces or Invisalign using an FSA? Can FSAs pay for orthodontic treatment? It turns out, the answer is yes: both FSAs and Health Savings Accounts (HSAs) can normally be used to cover orthodontic treatment. This means that using money from an FSA to cover orthodontic treatment is a great way to improve your life while saving on taxes and to avoid losing the money in the account at the end of the year. So whether you want orthodontic treatment for you or your child, spending your FSA money on orthodontic care is a smart move that's sure to leave you smiling! All About Braces is a leading orthodontic practice serving the greater Denver, CO area. All About Braces provides a variety of treatments including braces, clear braces, and Invisalign. If you're interested in improving your smile in the Denver area – especially if you have money left in your FSA – contact All About Braces to learn more. Do You Still Need to See Your Dentist During Orthodontic Treatment? You’re finally getting those braces that you’ve been wanting for months, maybe even years! You’ve scheduled your monthly visits to your orthodontist for exams and braces adjustments. Do you still need to go to your regular dentist during this time? The answer is, absolutely, yes! Why See The Regular Dentist With Braces? When you visit your orthodontist, your doctor will not be cleaning your teeth. That’s what your regular dentist will do when you visit him or her for regular checkups. With your new braces, the food you eat will have more places to get stuck and form bacteria. You will need professional cleanings on a regular basis to make sure that any food, bacteria and plaque are removed so that your teeth and gums stay healthy. Most Denver area orthodontists recommend you see your dentist at least every six months for cleanings and checkups. You must maintain great oral health while you have braces. It is absolutely possible that you could get cavities while you have braces, especially in and around where your brackets attach to your teeth. It’s more difficult to keep your teeth clean with braces. Poor gum health and tooth decay can interfere with your overall orthodontic treatment and oral health, potentially causing a slowdown in effective braces treatment. Make sure when you choose an orthodontist that you choose one that is willing to work with your dentist for your overall oral health. Checkups and cleanings are key and orthodontists like All About Braces in Denver will work with your dentist to make sure your dental health is excellent so that the end result of having braces is not only beautiful, straight teeth, but a healthy smile that will last a lifetime. Still not sure? You’re first visit to the orthodontist is almost always free, so don’t wait, make your appointment online today! Can You Still Play Sports With Braces? Today both teens and adults lead active lives and a variety of sports are a big part of that activity. According to the National Youth Sports Safety Foundation, children, high-school athletes and adults have more than 5,000,000 teeth knocked out in sporting events annually. Athletes of all ages can be confident that their braces can be protected while playing sports. Orthodontists agree that, yes, you can still play sports with braces as long as you take precautions to protect your braces and mouth with a mouthguard. If you are an athlete with braces, you should use a different mouthguard than athletes who do not have braces. Without braces, athletes often opt for the “boil and bite” mouthguard. With this mouthguard, you boil the plastic mouthguard form and then while it’s warm, you insert it into your mouth to form a mold around your teeth. The difficulty is that if you are receiving braces treatment, your teeth will continue to shift as they move into their corrected position. Within a matter of days, your molded mouthguard that once fit perfectly no longer hugs your teeth and braces. To remedy that problem, your orthodontist should have a special mouthguard designed just for athletes with braces. This mouthguard includes an additional trough that covers your braces as your teeth move into position. This type of mouthguard is usually free from your Denver area orthodontist, so just ask. Don’t worry about having braces while you’re on the field or court. With a properly fitted mouthguard, your teeth and mouth will be protected from the normal contact that comes with many sports. If you are just thinking about getting braces treatment to begin working on that winning smile, give All About Braces a call. With experienced, skilled orthodontists and friendly, professional staff, they are considered some of the best orthodontists in the Denver area. Multiple locations means there is bound to be one near you. Your first visit is always free, so don’t let sports slow down your quest for that new, healthy smile. Even though most adolescents are excited to join the ranks of their friends at school by beginning their orthodontic treatments, some may be a little nervous about what having braces or Invisalign might entail. At All About Braces, our patients are in great hands with our orthodontic specialists and friendly, knowledgeable staff. But if you need a few tips to help get your child excited about getting braces, here are five ideas! Consider developing a list of fun activities you can do with your child on the day they get their braces and after each orthodontist appointment. The Denver Zoo, laser tag, miniature golf, or art museums can be a fun way to reward your child gets their braces. When you connect these types of fun activities with braces treatment, your child will begin to look forward to getting braces and taking good care of them. Sharing enjoyable activities can be a plus for both you and your child and it’s a better choice than a food treat that might not go over too well after braces are tightened at an appointment. You can also stay near your child during appointments to alleviate their fears. Speak with the receptionist at each office if you would like to talk to parents about coming back to the dentist chair. Your child will be much more excited about getting braces if they can see what a difference braces can make in their smile .Check out our Before and After page for a look at the change and read together our patient testimonials to hear what other teens experienced. This will help ease your child’s mind when it comes to their change in appearance with braces and give them something to look forward to when they see those beautiful new smiles. One of the most enjoyable activities of our patients is the option to add different colors to their braces. Our orthodontists offer a wide selection of color rubber bands for placement on their brackets. Whether it’s seasonal, school, or holiday colors, your child will love the chance to make an important decision on their own. The color of your child’s braces can also help to establish their personality so they won’t have to worry about not liking how his braces look. If your child is nervous about visiting a new orthodontic office, ease their fears with a social visit to the nearest All About Braces location in Denver, Lakewood, Aurora, Arvada or Thornton. You’ll find a friendly, relaxing environment and staff that are there to help you with a smile. When you arrive for your appointment, arrive a few minutes early so your child is not rushed and has time to acclimate to her surroundings. Offer some music to help relax him or her. Remind your child that the short time they spend in the orthodontist’s chair is nothing compared to that perfect, confident smile they are making happen. Come up with way to help make having braces fun. Purchase that cool new toothbrush he wants. Or, buy that waterpik and make a game out of flushing out those food particles every night. Brush with your child morning and night and create rewards for regular brushing and flossing. Use positive reinforcement and compliments when your child is doing what they are supposed to be doing without argument. This will go a long way to keep them excited about their braces treatment. If you or your child have questions or concerns about their upcoming braces treatment, we are here to help! Don’t hesitate to contact our nearest All About Braces location and speak to one of our highly trained orthodontists or professional assistants. We will take the time to answer your questions or concern in detail and set your mind at ease. If you haven’t made your first appointment yet, use our convenient online form to do so. We look forward to beginning your braces treatment and the path to that new, confident smile you are going to love! At All About Braces, we want our patients to experience every advantage of the most modern technologies and tools we have. Our orthodontic specialists don’t just use braces or Invisalign aligners to reposition crooked teeth. We can also treat more complicated aspects of jaw development to assist in positioning your bite correctly. That’s why our Denver area orthodontists recommend your child have his or her first appointment around their 7th birthday so that we can diagnose any potential challenges with your teeth development of your teeth. One of the most common early orthodontic treatments for children are expanders. An expander is an orthodontic appliance that opens up the upper jaw and roof of the mouth to prevent, correct, or reduce the severity of problems associated with an upper jaw that’s too narrow. What Do Expanders Look Like? An expander has two rings that are attached to the inside of the upper molars on each side of your mouth and are connected in the middle with a screw. Slightly turning the screw causes tension, prompting the bones to gradually move apart and new bone to form in the gap. Once the desired expansion has been achieved, the appliance remains in place to allow the new bone to stabilize. Most expanders are prescribed for children from 7 years old up to early puberty of 10 or 11 years but they can be used in adults up to early 20s. The key to the success of the expander is the timing. Much like babies have soft spots on the top of their heads, children have soft spots on the roof of their mouth which doesn’t fully form until early puberty. When expanders are used during this natural growing period before these bones have attached, treatment is more effective and jaws can be moved to fix bite problems. Why Do We Use Expanders? Crossbite. When the upper jaw is too narrow to fit with the lower jaw, an expander can expand the upper jaw to fit properly. Crowding: If your child’s mouth is too small to allow for his or her permanent teeth to come in, an expander can be used to widen the upper jaw and create space. Impacted Teeth. If your child has a tooth that is trying to erupt but his behind other teeth, the widening of the upper jaw can allow the tooth to grow into its proper position. Shorten Treatment. Using an expander can make your child’s smile more broad and pleasing and decrease the amount of time your child may need to be in braces. Our Arvada orthodontist will custom-make your expander to best fit over most of the top teeth in the back of your mouth. The appliance consists of two halves connected in the middle with a screw. With a special key, slightly turning the screw will induce tension at the intersection of the two palatal bones. This tension will progressively move the two bones apart. At the time of the desired expansion, your doctor at All About Braces will leave the expander in for a couple more months to give your bones time to adapt and stabilize the new expansion. Use of an expander is most often followed by braces to then straighten the teeth. Expander treatment usually lasts a few weeks, but the expander is left in for several months to make sure the position created is maintained. Make Your Early Treatment Appointment Today! There is no way to know if your child is a candidate for an expander until you visit your nearest All About Braces orthodontist office for an exam. With locations in Denver, Aurora, Arvada, Lakewood and Thornton Contact us by phone or complete our online appointment form and we will examine your child’s teeth to determine if early treatment is needed or if here are any other concerns that we can prepare for to make your child’s orthodontic treatment faster and less costly. We look forward to meeting your child and getting started on any orthodontic treatment he or she may need to maintain great oral health. Your team of Denver area orthodontists are the best at making sure you have a positive orthodontic treatment experience. But if you’re just now thinking about beginning treatment, you may be nervous about getting braces or Invisalign aligners and wonder if there is any pain involved in the process. We want to be as up front as possible in letting you know exactly what you will experience when you visit our Aurora, Arvada or Thornton offices for braces treatment. Your appointment to put on your new braces is fast and completely pain-free. First, your teeth will be conditioned, rinsed, dried, and sealed - a totally painless procedure - to prepare your teeth for braces (or brackets.) Our orthodontic specialists are skilled at creating an advance plan to cement your brackets in exactly the precise place for the most successful treatment. Although it may take up to two hours to cement your brackets in place, there is no discomfort as your orthodontist will simply use a dental cement on each tooth and stick your bracket in place. When the rings on your back teeth are put in place, you may feel a slight pressure, but it is usually controlled by you as you bite down on a stick to push those in place. After the brackets are cemented, your orthodontist will set the archwire into brackets and then use ligatures (tiny colored O-rings or thin wires) to attach the archwire to the brackets. This might produce a slight pressure. At the very beginning of your braces treatment, your mouth will need to get used to the new structures that are on your teeth. During this time, your brackets may rub the inside of your cheeks and lips. To assist you, your orthodontist will give you wax to cover the part of the bracket that may be a problem. Once your mouth becomes accustomed to your braces, you will not need to use the wax and you should not have any discomfort from rubbing braces. During your braces treatment, you will make regular visits to the Thornton orthodontist office every six to eight weeks for adjustments, sometimes called tightening, of your braces. At this time, your orthodontist will change and/or adjust your archwire to continue putting pressure on your teeth to move into place. Following these visits, you may experience discomfort and tenderness. Similar to when you first received your braces, we recommend soft foods, but this discomfort shouldn’t last more than 24 to 48 hours. Regardless of whether you are wearing metal or ceramic braces, or using Invisalign clear aligners, anytime your teeth are pressured to move, you may experience some initial discomfort. Just like when you got your braces ON, getting them off doesn’t hurt at all. We remove your brackets using debonding pliers that pop off the brackets without any pain. Then, we polish off the glue that feels like a tickling vibration to reveal your slick, straight, beautiful smile. Once you arrange for your retainer, you’ll be on your way to show off your new look! Still Concerned? Give All About Braces A Call Today! Our All About Braces orthodontic team wants to answer any concerns you have about your braces treatment. Just give one of our convenient Denver area locations a call. We can explain the exact procedure you will experience, show you how to use braces wax, ease your fears. We promise that for the majority of time you wear your braces you will not even remember you have them on. Whether you’re still wondering why you should get braces, or you’re ready to get started on the journey to the smile you’ve always dreamed of, use our online appointment form to schedule your first free consultation. We look forward to you joining our family of smiles. What Makes All About Braces The Best Orthodontist in Denver? All About Braces is the best option for your orthodontic treatment with multiple locations in the Denver area and a variety of affordable treatments provided by highly trained orthodontists in a friendly, inviting atmosphere. At All About Braces, you’ll have your choice of the latest tools for straightening your teeth and giving you a new, beautiful and confident smile. All About Braces offers traditional types of braces as well as Invisalign clear aligners for teens and adults. Our specialists can also treat more serious medical orthodontic problems that may require surgery. The most common orthodontic treatment, our traditional metal brackets and braces are smaller and more comfortable than ever! For an “invisible” look, try clear braces constructed of ceramic to blend in with your teeth. A newer treatment method, these clear aligners are created to fit your teeth and gradually straighten them as you progress through a series of aligner trays. Similar to Invisalign, but created just for adolescents. Teens love the flexibility of removing aligners to eat or for other activities. They come with indicators for proper wear and changing. When common problems can’t be treated with braces, there are options such as jaw surgery. Using the latest in digital imaging, proper prognosis and outcomes can be determined. Every one of the All About Braces offices is designed and decorated with our patients’ comfort in mind. Each office offers a special uniqueness - from open, spacious floor plans, to private rooms; from Bronco fans decor, to nature-inspired peacefulness. You are sure to find the Aurora, Lakewood, Thornton, or Denver office that fits your personality and comfort the best. Our team of orthodontic experts are board certified or eligible and highly skilled in all types of orthodontic treatment. All About Braces orthodontists have received education and training from some of the top programs in the country and they are consistently recognized for their expertise and success in the field. Our family owned and operated practice radiates that family feeling spreading warmth and friendliness to our patients and families. Our staff welcomes every patient and our doctors provide individualized treatment that best fits the needs of each patient. One of the primary elements that sets All About Braces apart from its competitors is the ability to provide orthodontic services to its Denver area patients at a reasonable and affordable cost. Our financial experts work with your insurance companies and you to create an affordable payment plan. We never want money to get in the way of your decision to go for a beautiful, straight smile and all the confidence and benefits that come with it. With six convenient office locations, you are sure to find one near your home or work. And, if you move to another Denver area, you don’t have to worry about finding another orthodontist. You can simply visit another office nearby. We offer a convenient online appointment scheduler, or you can contact the office location nearest you to schedule your next appointment. Already an All About Braces patient? Refer a friend to one of our locations. Your first visit is always free, so contact All About Braces today and see for yourself why we are the best orthodontist in Denver. While flossing with braces may seem like an insurmountable task, it’s actually pretty easy once you get some practice and it can be accomplished with only a piece of floss and your hands. At All About Braces, our orthodontists and dental hygienists stress the importance of brushing and flossing every day with our patients using these easy steps. Whether you are getting started with traditional metal braces or clear braces, the importance of keeping your teeth and mouth clean cannot be underestimated. Most of our patients find getting around the archwire to be the trickiest part of flossing with braces. You will want to take a piece of floss, approximately 12 to 18 inches long and slide one end of the floss under the archwire between two of your brackets. Once the floss is behind the archwire, grab it with both hands, one on each end, and wrap the ends of the floss around your index fingers. Use a mirror so that you are careful not to pull outward on the archwire or get the floss caught in your bracket. Position the floss between the two teeth by putting one hand toward the back of your mouth and gently pulling the floss through the crease. If you are used to flossing, this will seem normal. Once the floss is between your two teeth, form the shape of a “C” with the floss and move it up and down against one side of one tooth. Use a back and forth motion and make sure you go all the way down between your gum and the tooth. When you are finished with one tooth, do the same thing to the tooth on the other side of the gum. This “scrubbing” motion will remove food particles as well as the invisible plaque that can cause tooth decay and discoloration. Gently slide the floss out from between your teeth. Now you are ready to repeat the process with the next two teeth. Move your hands to a clean piece of floss, thread the floss through the archwire, and then through your teeth, and begin the scrubbing motion again. Once you have flossed every set of teeth on the top and the bottom, you are finished! Use waxed floss. Floss coated with wax will be less likely to catch on your brackets or wires. Try a floss threader. Orthodontic floss threaders are helpful tools that can make it much easier to thread the floss under your archwire. They are inexpensive and disposable. You can usually buy them at any store that sells toothpaste and toothbrushes. Don’t be alarmed by bleeding. If you are not a regular flosser, your gums may bleed when you begin flossing. Don’t be alarmed by this. The longer you floss, the healthier your gums will become and the bleeding should stop. Take your time. It will take you much longer to floss with braces than it did without, but take your time and make sure you are getting every tooth. If you are having any trouble figuring out how to properly floss at least once a day, don’t hesitate to contact one of our six All About Braces offices for help. Our staff is here to make your orthodontic treatment as easy and effective as possible. Located throughout the Denver area in Arvada, Lakewood, Aurora , and Thornton, you are sure to find one nearby your home or work. Ready to get started on your path to a new, confident and beautiful smile? Make an appointment for your free office consultation with one of our orthodontists. We look forward to answering any questions you may have about flossing or caring for your braces. Braces vs. Invisalign? Which Wins The Showdown? You’ve made the decision that you are going to have that beautiful, confident smile that you or your child deserves. But with so many options in today’s world, which should you choose? Before 1998, the only choice for straightening teeth was braces - either metal, ceramic or lingual. But then along came Invisalign clear aligners and patients were rightly excited about bypassing the brackets and wires. The cold, hard truth is...BOTH of these options can effectively straighten teeth. The best way to tell which to choose is to have the best Colorado orthodontic specialist like the ones at All About Braces examine your teeth and recommend the option that will work best for your specific case. However, here we breakdown some of the major differences between Invisalign and braces. The appearance is the most obvious difference between Invisalign and braces. To help you better understand this difference, you should know how each of these orthodontic tools works. With braces, your Denver orthodontist will attach brackets to each tooth with bonding material. Then, a thin, metal wire called an archwire is added from bracket to bracket. The wire exerts a light force that causes the teeth to move. Alternatively, Invisalign treatment uses a series of computer-generated, clear removable aligners that are worn and gradually move teeth into place as each set is put in. Invisalign aligners are more smooth and often considered more comfortable than their metal counterparts and virtually invisible, making it probable that people won’t even know you are wearing them. However, as mentioned above, metal braces aren’t the only option. Most orthodontic offices also offer clear braces, which uses a ceramic material instead of metal to make them less noticeable. Ceramic or clear braces are not as strong as metal braces. One of the primary deciding factors in determining the type of orthodontic treatment your doctor may recommend is the type of straightening your teeth need. Traditional braces produce better results if you have challenging orthodontic needs - for example, if you need to straighten significantly crooked teeth, or if you have teeth that are sitting at noticeably different heights. This is because it’s more difficult for the plastic shells to force the teeth into complex tooth movements. Invisalign, however, is ideal if you have mild to moderate crowding and alignment issues and if you have had previous orthodontic treatment but did not wear your retainer and have experienced some relapse. 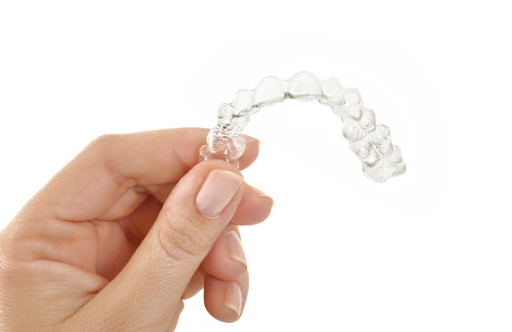 The treatment time for Invisalign aligners is usually quite a bit less than traditional braces. With Invisalign, you wear your aligners 22 to 24 hours a day and can expect treatment to last for six to 18 months, depending on your needs. With braces, your braces never come off and you’re looking at more like an average of two years of treatment time, depending on your needs. Compared to Invisalign, traditional braces tend to be more affordable costing around $1,800-$5,500 compared to Invisalign average cost of $5000. Your All About Braces staff will work with you to develop a financial plan to fit your budget, based on either option. With traditional braces, you will visit your Aurora, Denver, or Lakewood orthodontist every month for new wires and tightening. With Invisalign, you will change your aligner trays every two weeks and visit fewer times, usually every four to six weeks. Wearing braces means being more cautious about what you eat and drink. At All About Braces, we recommend you stay away from sticky or hard foods that might damage or dislodge your brackets or wires and from excessive sweet food and drink that can give you cavities. Invisalign patients take their aligners out whenever they eat or drink, so do not have the food restrictions that braces-wearers have. Wearing Invisalign clear aligners allows you to brush and floss your teeth normally for good periodontal health.However, each time you take them out, you should brush your teeth and rinse your aligners before replacing. Once a day, you should soak your aligners. Traditional braces are fixed in the mouth and therefore are more likely to trap food and are more difficult to keep clean. Brushing and flossing at least twice a day is highly recommended and the use of a water pik is also helpful for removing food particles. Regardless of which orthodontic treatment you choose, the professionals at All About Braces are skilled at giving you a perfect smile using the option that is best for you. To schedule your first consultation, request an appointment online or contact us at one of our convenient Denver area locations. We are specialists in straightening teeth and creating beautiful smiles that last a lifetime. Begin your journey to a beautiful smile with All About Braces. Serious accidents can result in severe mouth injuries and major dental damage. Whether you were injured in a car accident or a slip and fall accident, the long-term health of your teeth could be at risk. If you have sustained any type of mouth injury that you think has impacted the alignment of your teeth, or that a dentist has informed you as a result of the injury that you need orthodontic care, it is imperative that you make an immediate trip to the orthodontist. While everyone wants a good smile, protecting your teeth is also important to protect your overall health. Damaged teeth can deteriorate further and cause infections. You may also need to visit the orthodontist after suffering a mouth injury because you need to protect your legal rights. If you were injured in an accident, you may be entitled to significant compensation. However, you will only be able to obtain that compensation if you have valid medical documentation that proves the extent of your injuries. Lost tooth: A tooth that has been completely knocked out is known as an avulsed tooth. This is an incredibly painful injury that often requires emergency medical attention. If you are able to recover the lost tooth, your dentist may be able to put it back in. However, if several hours have already passed, this may no longer be possible. Broken tooth: A tooth that has been broken may be partially chipped or simply loosened. In this situation, your dentist may be able to repair the tooth and save everything that remains. Once again, this is not possible in all cases, but quick medical assistance from a qualified dentist will dramatically increase your odds of saving your tooth. Damaged root: Finally, you may suffer severe mouth damage in an accident that is not actually visible to the naked eye. While you can easily see a lost or broken tooth, you cannot always see root damage. However, fixing root damage is just as important: first, because a damaged dental root can be even more painful than a broken tooth; and further, because a damaged root will eventually kill the attached tooth. Even worse, the damaged root could cause a painful infection that could soon spread to your other teeth. With all of these injuries, you may require an orthodontist to work with your general dentist in repairing any damages that occur. If you are concerned about the impact to your bite or the spacing between your teeth, it is a good idea to see a specialist (in this case, an orthodontist) to assess what can be done. If you have been seriously injured in an accident, we suggest you also consult with an experienced personal injury attorney immediately. In the state of Colorado, negligent parties can be held legally liable for the damage sustained in an accident. In other words, if another party caused your injury, you may be entitled to significant financial compensation. At All About Braces, we're proud to offer a wide variety of orthodontic treatments to suit the unique needs of our patients. While traditional metal braces are still the most form of treatment we offer, a popular alternative is ceramic (clear) braces. Clear braces work the same way as traditional metal braces, but with one key difference: instead of steel, clear brackets are made from a transparent ceramic composite material that blends in with teeth. This gives them a discreet, aesthetically pleasing appearance – but it also makes staining or discoloration possible. Before going on, there's one key thing we need to understand. The actual ceramic brackets of your braces will never stain, as they're resistant to discoloration. The clear elastic bands we use to attach the archwire to your brackets, however, can stain – and this can make your braces much more visible. The best way to fight staining is to avoid it altogether, and that starts with diet. Clear braces stain as a result of dark, deeply colored foods and drinks like coffee, wine, tea, and even tomato sauce. The dark pigments in these foods can leak into the material of the elastic bands, causing them to stain. The best way to prevent staining is by avoiding these foods and drinks in the first place. In addition to monitoring your diet, making sure to brush your teeth and braces immediately after eating or drinking anything besides water will also help to keep your braces clear. If you can't brush your teeth immediately, try rinsing your mouth out with a glass of water. The goal is to minimize the amount of time your braces spend in contact with deeply colored, stain-inducing foods. With a careful eye on your diet and diligent brushing habits, you can keep your clear braces clean and clear, providing an aesthetically pleasing form of treatment that still maintains the benefits of traditional braces. If you have more questions on preventing staining or your orthodontic treatment in general, the team at All About Braces would be thrilled to help you. You can request an appointment or consultation online using our easy online form, and if you have any questions, feel free to call us at one of our six offices below. We're excited to hear from you, and we're looking forward to helping you achieve the smile of your dreams! At All About Braces, we're proud to provide world-class orthodontic treatment to patients throughout the greater Aurora, Arvada, and Denver areas, and we strive to make treatment as convenient of a process as possible. We believe a healthy, beautiful smile is an important part of overall health, and we also firmly believe that everyone should have access to a great smile – and the last thing that should stand in the way is finances. At our office, we're pleased to accept most plans from major insurance providers, and we're proud to be a preferred provider for Aetna, Anthem Blue Cross and Blue Shield, Assurant DHA, Cigna, Delta Dental, Guardian, Humana, MetLife, United Concordia, and United Healthcare – but does insurance cover Invisalign? The truth is, there's no way to categorically answer this question: every patient's insurance plan is different, and your coverage will depend on the specifics of your plan and provider. That said, many insurance policies carry an orthodontic benefit that's entirely separate from dental insurance, which means that even if you don't have dental insurance, you may still qualify for coverage on orthodontic treatment. If you do, your insurance will cover Invisalign the same way it covers traditional metal braces. This means that for many people, the answer is yes: your insurance will cover treatment with Invisalign or Invisalign Teen. If you're not sure about the specifics of your insurance policy, we are more than happy to help you work it out. We've worked with countless patients to help them make the most of their insurance benefits, and we'll review your plan and work with your insurance company to make sure you get the maximum coverage possible. And don't worry – when you get orthodontic treatment with All About Braces, we take care of filing your claims for you. We strive to make every part of the orthodontic treatment process easy, and whether you're a teenager getting braces for the first time or an adult looking to revitalize your life with a new smile, we would be thrilled to help you. As a premier orthodontic office serving the greater Denver area, we have the knowledge and expertise to help you achieve a new smile no matter what your current orthodontic situation. If you have any questions about our office, your insurance policy, or treatment in general, feel free to reach our contact page or call us at one of our six offices. If you'd like to schedule a consultation and find out if you're a candidate for Invisalign, you can request an appointment using our easy online form. We look forward to helping you achieve a beautiful smile through Invisalign! You may be surprised that your child’s first orthodontic visit can be as early as age six or seven, as recommended by the American Association of Orthodontists. Why so early you may ask? By age seven, your Denver area orthodontist will be able to see any developmental issues that may have the potential of turning into problems down the road. Depending on each patient’s individual case, your orthodontist will determine if early treatment will benefit your child, or if it would be more beneficial to wait for treatment at a later date. One example of the potential benefit for early treatment is that young jaws move more easily so some treatments can be more effective at a young age. Also, with baby teeth still in there is more flexibility in moving teeth. Not all exams result in immediate orthodontic treatment. Some orthodontic problems are easier to fix once your child reaches the teen years. But finding out early if your child has orthodontic problems can give you time to plan future treatments. By monitoring the growth of your child’s teeth, you can save time and money by getting ahead of any potential problems and by planning treatment at the best time for your child. If you want to find out about any potential orthodontic problems your child may have, contact the experienced orthdontists at All About Braces with Colorado offices in Denver, Aurora, Lakewood, Arvada and more! They even have an online appointment request form. Complete it and you’ll be on your way to finding out what orthodontic treatment your child may need and laying the foundation for a lifelong healthy smile. Since the dawn of orthodontic treatment, orthodontists have relied on physical impressions – models of the teeth and bite – to help diagnose orthodontic problems and design treatment plans. These impressions are hugely useful, as they give an orthodontist a physical representation of the bite that they can hold, study, and use for treatment planning purposes. Unfortunately, creating these impressions requires patients to sit for 10 minutes with a gooey, uncomfortable putty in their mouth, and the impressions are rigid and can't be adjusted to simulate treatment. But iTero – a new orthodontic technology – is changing all of that. Advanced Computer Imaging: The digital software and imaging technology behind iTero is incredibly powerful, creating more accurate, detailed models than ever before. Fully Controllable: iTero lets doctors simulate tooth movement using the model, allowing for detailed treatment planning like never before. Plus, iTero lets your doctor show you exactly what your teeth will look like once you finish treatment. All in all, iTero digital impressions offer a powerful, convenient alternative to traditional impressions – and we're excited to say we've incorporated iTero into our own treatments at our office. This means that whether you’re looking for braces, Invisalign, or any other treatment we offer, you can be assured that your treatment will be more effective and convenient than ever before. iTero is just one example of our commitment to convenient orthodontic treatment – and if you'd like to see them in action, we'd love to have you at the office for an appointment. Feel free to reach out to us at our contact page with any questions, or just request an appointment online at one of our 6 locations. We can't wait to hear from you, and we're excited to help you achieve a healthy, beautiful smile with iTero digital impressions! The holiday season is almost upon us, and soon enough we'll start to see the pumpkins, ghoulish decorations, and extravagant costumes that usher in the first holiday of the season: Halloween! Halloween is a fun time for dressing up, telling scary stories, and spending time with friends and family – but unfortunately, it can be a dangerous holiday for braces. The gooey, sticky, hard, and sugary candies we love to indulge in during halloween can easily get stuck in archwires, break brackets, and corrode tooth enamel, putting both your braces and the health of your teeth in jeopardy, which is truly a scary thought! To help you navigate this time of the year, here are a few simple tips for taking care of your braces during Halloween. Say No to Sticky, Hard, & Sugary Candy: We know it's difficult, but while wearing braces, it's critical to avoid candies and foods that are sticky, hard, or chock full of sugars. All of these qualities can damage your braces and teeth, potentially causing serious problems and setting your treatment back by months. Brush Teeth Incessantly: In addition to avoiding dangerous foods, you'll have to be proactive about protecting your teeth and braces. You should brush your teeth at least four times daily, once after each meal and once before bed, and don't forget to floss at least once a day. Come In for Regular Appointments: In addition to the preventive measures you take outside the office, it's important to regularly visit our office for check ups and visit your regular dentist for deep cleanings. These appointments are critical to ensuring your treatment is progressing well and your teeth are still healthy and strong, letting us spot potential problems before they get too serious. The holiday season can be challenging for those wearing braces, but with a careful watch on your diet, a diligent oral hygiene regimen, and regular visits to our office, you can keep your teeth healthy and your treatment on track this holiday season. We encourage you to reach out to us at our contact page with any questions about caring for your teeth and braces, and if you'd like to come in to one of our offices for an appointment, please feel free to request an appointment using our easy online form. We can't wait to hear from you, and we hope you're excited to enjoy this Halloween season - taking good care of your braces, of course! We hear a lot of questions about braces. Patients constantly ask us how long they take, how they work, and what all the tiny components do, but some of our most common questions have to do with paying for braces. We know this can be a daunting subject, but don't worry - we're here to help. So how much do braces cost, anyways? The truth is there is no one answer to that. The cost of orthodontic treatment varies from patient to patient, and everyone's needs are different. After we perform your initial exam and recommend a treatment, we'll discuss an estimate of the cost with you, going over every aspect so you fully understand your options. We know that paying for braces can be difficult, but we're dedicated to helping every patient find a plan that let's them get the new smile they deserve in a way that makes sense for their budget. We offer a variety of payment plans to our patients, so you can have the freedom to pay for your treatment in small, manageable installments. In addition to payment plans, we also make insurance easy. We're proud to accept most major insurance providers, including Medicaid, and we'll take care of filing your claims for you - so all you have to do is relax. We'll use our knowledge and expertise to ensure you receive the best coverage you're entitled to, helping keep your costs low and your treatment affordable. Have more questions about our financial policies or your treatment? We're happy to answer them. Feel free to call us at any of our six Denver area locations, and don't forget to check back to this blog for more tips and updates on all things oral health. We can't wait to hear from you, and we look forward to helping you achieve a healthy smile - affordably! At All About Braces, we believe everyone deserves a beautiful, healthy smile that they feel proud of in any situation. That's why we're proud to provide high quality orthodontic treatments to patients in a warm, welcoming office environment - and those patients are more diverse than you might expect! While many people see orthodontic treatment as something that's "just for kids," the truth is that we can move healthy teeth at any age. 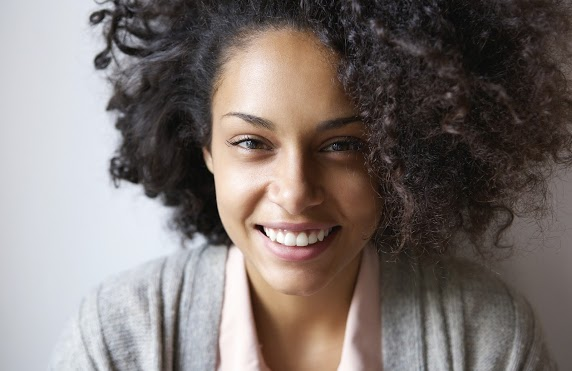 More and more adults are discovering the power of orthodontic treatment and reaping the benefits of a beautiful new smile in every aspect of their lives. An increasing number of adults are pursuing a new smile through orthodontic treatment, and it's little wonder why. A beautiful new smile is an investment in a better you, and it lends a boost of confidence, happiness, and self-esteem that radiates through every area of personal and professional life. Just think how much easier that upcoming neighborhood BBQ, first date, or big presentation at work would be if you have a beautiful smile you weren't afraid to show off – and believe it or not, that new smile is closer than you might think. While braces used to be awkward, unsightly metal strips attached to the teeth, modern braces are thinner, more comfortable, and more aesthetically appealing than ever before. Plus, with treatment alternatives like Invisalign, you can straighten your teeth discreetly – so almost no one has to know you're getting treatment. Today's orthodontic treatments offer a solution for any lifestyle, and we'll work with you to design a treatment that fits your orthodontic needs, lifestyle, and budget, helping you get the smile you're dreaming of through a method that works for you. So what do you say: are you ready to start down the path to a happier, healthier, more confident you? We couldn't be more excited to help you get there! If you'd like to find out how orthodontic treatment can help you achieve the smile of your dreams, please reach out to us at our contact page or schedule an appointment online using our simple, convenient form. We can't wait to hear from you, and we're excited to help you improve your life with a beautiful new smile! At All About Braces, we want nothing more than to provide our patients with high quality orthodontic care in a way that's most convenient for them. But contrary to what our name may imply, traditional braces aren't actually the only form of orthodontic treatment - while metal braces are a tried and true method, they're one of many forms of treatment. For this blog, we wanted to talk about another one of our favorite forms of treatment - Invisalign. Invisalign is revolutionary form of treatment that turns the concept of braces on its head. While traditional braces use metal wires and brackets to pull teeth into the proper tradition, Invisalign does away with the metalwork altogether, instead relying on a series of clear plastic aligners that fit directly onto the arch of the teeth. The aligners are virtually invisible, so no one needs to know you're straightening your teeth, and they're completely removable and can be easily popped in and out to brush, floss, eat, or drink. This means maintaining proper oral hygiene, which is critical for effective orthodontic treatment, is a breeze, and - here's the best part - it comes with no dietary restrictions! You can still eat all of your favorite foods without feeling guilty or risking damage to your appliances. Just make sure you brush your teeth afterwards! All of these advantages make Invisalign an excellent option for adults. Many of our adult patients are finding that the added convenience and aesthetics of Invisalign make treatment easier, more convenient, and less disruptive to their personal and work lives. But Invisalign can work for any age - there's also a variant called Invisalign Teen that is specifically designed specifically for adolescent patients. Want to find out if you're a candidate for treatment? We'd love to help! Just contact one of our offices or use our easy online form to schedule your free consultation. We can't wait to hear from you, and remember to check back to this blog periodically for more information on all things orthodontic! So a few years ago, I was honored and humbled to be one of the blessed recipients of a Smiles Change Lives ( http://www.smileschangelives.org/ ) Gini award. It was presented to me by a true orthodontic mentor and last years recipient, Dr. Stephen Litton. To my delight my husband, Rabbi Eliot Baskin and I were also assigned a seat next to founder, Virginia Brown for dinner after the awards program. This woman has a passion for making the world a better place and was an orthodontic patient as a college student and as a parent when she could afford to complete her care. We heard from a young woman who is the recipient of care through this great organization and how braces changed her life. She shared how she cried when she saw her senior pictures and how she had gained so much confidence with the transformation of her smile! While the concept of giving back is not new this organization is unique in the industry for the hand up not hand out philosophy. As orthodontists we have many opportunities to help young and young at heart improve self esteem- and SCL and the participating orthodontists donated well over 1.2 million dollars of care in 2010 alone. So what is my message for all of you- follow your dreams and try to make the world a bit better than you found it along the way. I get the joy of making people smile every day- it is the best job ever!! We know one of the best things about having braces (other than you getting an awesome smile! ), is getting to choose new colors at your appointments. While elastics have a clinical function, we know how fun they can be! We also know that making the right decision in choosing a color combination for braces can be hard, so we're here to help. Autumn: Golden yellows, dark reds, cobalt blues, and vibrant orange all paint a dazzling image of the perfect pumpkin spice sipping fall day. Winter: Arctic blues, regal purples, shimmering silvers, and stunning greens will all allow your smile to pop this winter in stark contrast to the icy snows and gray skies of winter. Spring: Poppy red, Monaco blue, emerald, violet, and jade are all wonderful, bright colors that are perfect for spring. Say goodbye to the bitter colds of winter and hello to the bright smiles of spring. Summer: Sunny yellows, juicy pinks, tangy teals, and perfect pastels are all excellent choices for when the thermostats start to rise. Add a little coral, a twist of turquoise, or a dash of blue and you’ll be the talk of the town in no time! Wherever you're from, show a little pride in your heritage. Whether it’s the red, white, and blue of the USA, red and white for Canada, or green, white, and red for Mexico, matching the colors with your patriotic pride is a wonderful way to show the world where you’re from. Consider representing your school by smiling its colors. It doesn’t matter if you play in the band, perform on the stage, represent on the field or are just a dedicated student, school spirit shows you take pride in your school. Change your colors to blend with a special occasion. Whether it’s a wedding, a school dance, or any other occasion, matching your outfit and the colors of your smile to the occasion is a great fashion statement. Black and White = Rare-disease awareness. For those with darker skin complexions or hair, colors like blue, turquoise, gold, orange, green, fuchsia, and pink are excellent choices. For those with lighter skin tones or hair, colors like vermilion, bronze, raspberry, plum, red, royal blue, or salmon will always work wonders. For those with brown eyes and blond hair, notes of blue and rich purple will help keep your skin tone beautiful and warm. For those with blue eyes, additional shades of blue will accentuate your features and allow your natural beauty to pop. For those with red hair, colors similar to emerald will create a contrast that will always steal the show. For everyone else, bright red, pale pink, eggplant, and teal are considered colors that go great with every skin tone. You’re unique, sometimes it’s just best to go with what you like, regardless of what anyone thinks or advises. Besides, you’re the only you out of seven billion other people in the world and that’s a beautiful thing: Embrace it. Whether it’s your favorite color, a spontaneous decision, or something that identifies who you are, go for it! Still can't decide? We're here to help. If you can’t make a decision, or don’t care to, our staff members are here to help. Not only can they guide you in determining a set of colors that suit you, but adding another’s creativity will often help spark your own. Never hesitate to ask for a little friendly advice! While we know that at All About Braces we offer an exceptional value to our patients (thus our tagline "Affordable Fees, Priceless Smiles), and are often one of the lowest cost providers in the marketplace, there is no alluding the fact that even with really low fees, for many families the cost of braces can be expensive. We try everything we can to make it as easy to budget and afford as we can by offering things like zero percent financing and flexible payment options. There is, however, another way that you can save yourselves a bundle on your braces. That is by using a Health Savings Account (HSA-- or sometime called an FSA depending on the plan). A health savings account is the perfect tool to help budget for orthodontia. With an HSA (which is usually offered by your employer) contributions can be withheld directly from a paycheck, and all contributions are removed PRE-TAX. What that means to you is that you do not have to pay income tax on any of the money you spend from the HSA. So, for example, if you pay $1,500 next year to your orthodontist (which we hope, of course, is us 8-)) out of your HSA and you normally pay 33% in income taxes, you would SAVE $500 in taxes by using the HSA. I mention this in my post now because typically you CAN NOT sign up for an HSA anytime you wish, but rather, in most cases, once a year when your company has you choose your benefit plans for the upcomming year. For most companies, that happens in the Fall of every year, so the time to think about this and start planning for it IS NOW. The even better news is that if you are just planning on starting braces now, you likely can use the tax advantages from an HSA to help you save in both next year and the year after. We can make payment arrangements that will allow you to maximize this benefit. Hoping this little bit of advice will help many of you save a bunch of money! Now you don't see me, now you still don't see me! Funny how things snowball. Until about 5 years ago, while Dr. Baskin had treated dozens of Invisalign patients in the past, as a practice taken as a whole we had only lightly dabbled in Invisalign. However, once Dr. B (as we affectionately call her) got our other docs excited about treating eligible cases with Invisalign we started seeing more and more Invisalign cases. Well now for the past 4 years we have seen so many cases that we have become Invisalign Preferred providers as designated by Align tech, the makers of Invisalign. Why is Invisalign becoming so popular? Well it's a pretty cool technology. You see with Invisalign, the aligners are both invisible and removable. Because you can take the aligners out, Invisalign lets you can eat and drink what you want while in treatment. Since Invisalign is virtually invisible, chances are no one will even notice anything is different, until your new smile is revealed, of course. Invisalign also makes your brushing and flossing during treatment much easier than with traditional braces. How does it work? The Invisalign System combines advanced 3-D computer graphics technology with 100-year-old science of orthodontics. Invisalign aligners are designed to move your teeth in small steps to the desired final position prescribed by your orthodontist. Each aligner is precisely calibrated and manufactured to fit your mouth at each stage of the treatment plan. So recently, the AAO (American Association of Orthodontics-- our national organization) developed a new, highly rigorous certification program for orthodontic assistants. The process to get accredited is difficult, requiring not only experience, but that assistant pass an extremely difficult and rigorous testing process. Many assistants do not even attempt to become certified, and of those that do, many fail. Of course that was not the case when it came to our superstar All About Braces team. As our patients hopefully know (and if you did not, you do now! ), not only is our team some of the nicest, friendliest and most charming people you'll ever meet, but they are also some of the most capable orthodontic assistants you'll find anywhere in the country. So while it was a surprise to even the folks at the AAO when they heard this (the administrator of the program said "really, your whole team, that's incredible! "), we were not surprised when EVERY SINGLE ONE OF OUR ELIGABLE STAFF PASSED THE SPECIALIZED ORTHODONTIC ASSISTANT ACCREDITATION PROCESSES! We are SOOOOO proud of them! So, next time you come into the office, give your assistant a "congratulations!" and rest calmly in your chair knowing that you are in some of the best orthodontic hands in the entire nation! As a Medicaid Orthodontist we get a lot of questions all the time about Medicaid coverage and how it works for getting braces. Many folks don't realize that we are, to the best of our knowledge, the leading Medicaid Orthodontist in Colorado. As such, we thought we'd provide a little insight. It is indeed a bit complicated! First and foremost, it is important to understand that Medicaid will only cover orthodontic braces for children under 21. While there are now some dental benefits for adults with Medicaid, this does not extend to braces or orthodontics. So if you are an adult with Medicaid and want braces, while we can definitely assist you, realize that your Medicaid insurance will not help with the costs. For children under 21, however, Medicaid will pay for the costs of braces in full if they determine that the need for braces is medically necessary. You can have your child be evaluated for this medical necessity once per year. So if they get reviewed for braces and are denied, you can try again-- but you must wait one year in between evaluations. Typically they will allow three attempts. If they are denied before they have all their adult teeth, it may be a good idea, depending on your finances, to wait a year and try again. If they are denied after they have all their teeth, we typically can not apply again and it would likely be time to discuss private financing. (We offer a discount to these cases along with interest free financing). The process for the evaluation goes something like this. You would schedule an appointment with our office and make sure to tell the staff you have Medicaid coverage. It will be critical that you are still covered on the day of this initial appointment. At this first appointment, we will take the photos and X-rays needed by Medicaid for them to make an evaluation along with filling out a report for them detailing our findings. We send this in to Medicaid. They evaluate the case and typically will provide their determination within four to six weeks. They will notify both our office and your family by mail. If they deny, and we noted in our report that the case was extremely severe, we may choose to appeal. If the appeal is denied, your family has the further right to appeal. If approved, you would call our offices and make an appointment. As long as you have Medicaid coverage on the day of the appointment, Medicaid will then cover the cost of treatment in full. So when should you bring your kids? The American Association of Orthodontics says see your orthodontist for your first visit by age 7. There is a lot we can do at that early age-- see another blog post for more details on this. So, short answer: if you are looking for an Medicaid Orthodontist in Denver, Lakewood, Thornton, Arvada or Aurora, give us a call. We'll help you navigate your Medicaid coverage and take world class care of your kids! Its election time again. We know, you say, "wait, isn't that in November?" But the REAL voting is NOW, its for your Family Favorites on Colorado Parent Magazine. If you love us, we would be so very deeply appreciative if you could vote for us as your favorite orthodontist. Even better, unlike our presidential election, you can vote again and again (its 1 vote per week, but runs through March 20th). No one likes delays in their treatment time. Many of our patients ask us what they can do in-between their visits to avoid setbacks.SO we thought it would be helpful if we provide some tips on how you can stay on track in regards to your treatment plan time. First, and most importantly, keep your adjustment appointments. Each visit while you are undergoing treatment is carefully planned to move your teeth a specific way in a certain time frame. It is critical to note that missing an appointment can add weeks, if not months, to your overall treatment time. Next, we want you to let us know right away if your experience any problems with your braces or appliances. A missing wire, rubber band, or broken bracket can delay treatment time, so we ask that you please give us a call right away to report any issues rather than waiting until your next visit. We are committed to get you into the practice to address and resolve any issues as soon as feasible. Make sure you wear your rubber bands as prescribed. Most, if not all, of our patients will need to wear elastics or rubber bands at some point during their treatment. Like missing your adjustment appointments, not wearing the bands or elastics, or not wearing them enough, can slow down the treatment process and cost you valuable treatment time. Rubber bands play a key role in aligning your bite and are essential for the bite-fixing phase of your treatment. Finally, we want you to maintain good oral hygiene, just as you did before your treatment began. Floss every day and brush your teeth several times a day. Not brushing will allow sugar to wear away the cement on the braces, rendering them inadequate in moving your teeth, as well as elevate your risk of developing cavities or tooth decay, which will inevitably delay valuable treatment time. The goal is to end up with a beautiful and healthy smile, and home care is essential to achieving this on schedule. If you have any questions about any of these tips, or if you have any general questions about your treatment, please give us a call or ask us during your next adjustment visit. As we approach Thanksgiving and winter break, many high school students and their parents are considering wisdom teeth removal. Most people will grow between two and six wisdom teeth as they approach adolescence. These may or may not break the surface of the gum tissue, but are clearly visible using X-rays. Often times, wisdom teeth will put pressure or even damage the surrounding back molars, become impacted in the jaw bone or even cause infection. Thus, their removal is recommended almost universally by dental care providers for future comfort and health. Dr. Jeffery White, an oral surgeon with more than 30 years of experience, was recently interviewed about the details of this procedure and the benefits of consulting with an oral surgeon to create an optimal treatment plan. A: “On the day of surgery, most patients are in the office for an hour and a half to two hours. As for the actual removal itself, it takes from 45 minutes to an hour to remove impacted teeth." If you have health insurance through your employer, you will probably have the option to choose some sort of tax-favored health spending account during the annual open enrollment. The accounts — including health savings accounts, or H.S.A.s, and health care flexible spending accounts, or F.S.A.s — aim to help health plan members pay for out-of-pocket medical costs. The accounts can save you money, but rules for using them vary. F.S.A.s allow you to pay for health costs with pretax money withdrawn from your paycheck. They have been around for decades but recently have undergone some adjustments. For years, workers were wary of setting aside too much money, because the rules required them to forfeit any balance remaining at the end of the year. Now, however, Internal Revenue Service rules give employers the option of letting workers carry up to $500 in an F.S.A. from one year to the next. About 60 percent of employers offered the carry-over option this year, according to WageWorks, a benefits administrator, and Visa. Not all employers do so, however, and those that do may set a limit of less than $500. So be sure to check with your benefits office. You can put up to $2,550 into your individual F.S.A. next year, but you can benefit even if you set aside less. Dr. Morris Poole, president of the American Association of Orthodontists, said the accounts could be a boon if you or a family member needed braces. “It’s a very useful tool for services that are not normally covered,” Dr. Poole said. The typical cost of orthodontic treatment is $4,000 to $6,000, he said, but most medical plans don’t cover it, and dental plans that do offer benefits usually pay no more than $1,000 to $2,000. What are H.S.A. contribution limits for 2016? For 2016, the maximum contribution (including the employer’s share) is $3,350 for an individual and $6,750 for a family. Those age 55 and older can contribute an extra $1,000. Can I have both an H.S.A. and an F.S.A.? Yes — as long as the F.S.A. is a “limited purpose” version that covers only certain costs like dental and vision care. New Year, New You (Tube)! Recently, we made some significant upgrades to our Youtube Channel. We now have short videos that answer commonly asked questions about braces. We have tons of videos that show many of our procedures, and the work we send out to oral surgeons and what exactly takes place. These include animations of the tooth movement and appliances and are extremely helpful and informative. We have videos from the American Association of Orthodontics that help further explain orthodontics and general patient guidelines for treatment. We even now have a section of Owen and all his songs about braces that you may have originally seen on our Facebook page. Needless to say, if you have not seen our Youtube channel, or its been a while, go check it out! there is a link to it right at the bottom of our homepage. Our second annual pumpkin contest was an incredible success this year! We had over a dozen entries from practices across Metro Denver dentists. And boy, were they great! Words don't really do them justice. But you can see them all on our Facebook page. As you'll see, they were magnificent (or maleficent?-- see the submission of our co-winner to get this joke!). The winners were a tie between CS family dental and the Salud Clinic. They each received nearly 900 Likes! Second place went to Denver Health Westside Clinic with over 300 Likes and third place went to the folks at Colorado Oral Surgery Center with nearly 200 Likes. Thanks to all of the practices for participating! We are already excited about next year! Halloween is just around the corner, and we know that means many of our sweet-toothed patients are getting excited for a night full of their favorite candies and treats. But while all of that can be fun, it can spell disaster for teeth and braces. The sugar in candy combines with bacteria in the mouth to produce enamel-eating acid, and any hard or sticky candies can damage braces and orthodontic appliances. Fear not, though - for this blog, we're going to detail some braces-friendly treats that will keep your sweet tooth satisfied and your teeth and braces strong this Halloween! 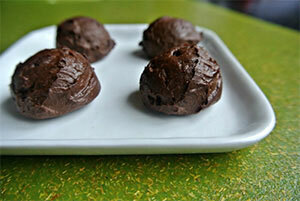 This simple recipe will leave you wanting more without feeling guilty about indulging. To start, you'll need 9 ounces of heavy cream, 4 ounces of unsweetened baking chocolate, and a bottle of liquid stevia. Making them couldn't be easier - simply combine the cream and chocolate in a pan over medium heat and whisk until you've got a thick, creamy mixture. Stir in the stevia to taste, then bring back to room temperature and spoon out small scoops onto the paper. Let it sit until it sets, then enjoy! This is by far the easiest treat on the list, and it's a fun way to get kids in the spirit of Halloween without loading up on sugar! All you'll need is individually packaged mandarin orange cups and a sharpy. 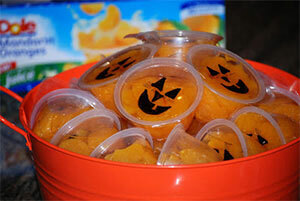 Draw a jack-o-lantern face on your cups, and you've got something that will get any kid excited for a healthy snack! This is a creamy, delicious Nutella flavored dip that's perfect for pairing with fruit - a great way to satisfy that sweet tooth while offsetting most of the sugar content. To make it, you'll need 3/4 cup of Nutella, 1/3 cup powdered sugar, 1 cup lite Cool Whip, and 8 oz of softened cream cheese. Mix the Nutella, powdered sugar, and Cool Whip into a bowl until well combined, and then fold in the cream cheese. 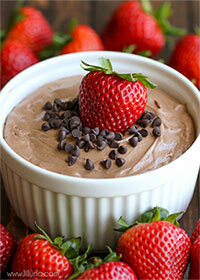 Pour it into a bowl and enjoy with bananas, strawberries, or your favorite fruit! Have more questions about how to keep your teeth healthy this year? We're here to help! Feel free to read up on some common questions or use our easy online form to schedule an appointment at one of our offices. We can't wait to hear from you, and we look forward to seeing you back at this blog for more fun tips on taking care of your smile! Carve Up Some Fun In Our Annual Pumpkin Decorating Contest! It’s about that time of year again, when families throughout Colorado decorate their homes with fake spider-webs, bats, cauldrons, and other creepy and decorations, when all the “pumpkin spiced” drinks and treats come out of hibernation and children, young and young-at-heart, purchase or create costumes to wear on Halloween. 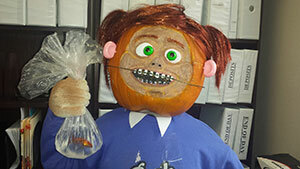 All of this excitement means it’s time to announce our Annual Pumpkin Decorating Contest put on by All About Braces! Similarly to last year, each dentist’s office in the area is invited to decorate a pumpkin any way they wish. From a Minion to The Grouch, we saw some incredible entries last year, and know this year you are even more prepared to utilize all your creative ideas and skills to transform a pumpkin into something great. 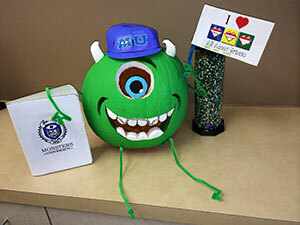 Once you’ve completed decorating your office’s pumpkin, send us a photo of it and we’ll post it on our Facebook page. Then, you can encourage your friends, family members and patients to vote for your office’s pumpkin by liking the photo. At the end of the voting period, the pumpkin with the most likes will be the winner, and will earn free braces for a member of their team! We will also have second and third place winners as well. We’re so excited to see the pumpkins that will be submitted this year! For more details about this contest, simply call our office at 303-462-1462. Happy Halloween from your All About Braces team! 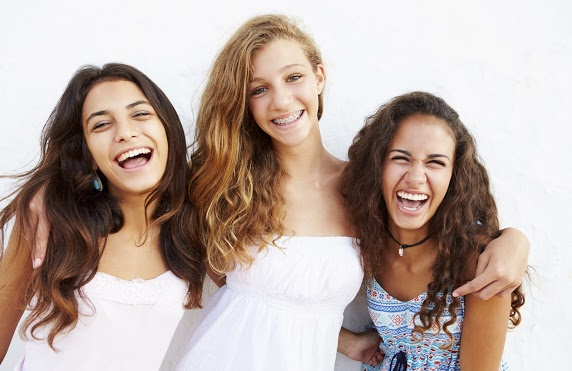 Summer is soon to be upon us, and while many of our current patients are getting excited for the final class bell to ring and summer vacation to start, we look at summer in a different light - summer is the perfect time for braces! Many parents talk to us about how they're hesitant to begin orthodontic treatment during the school year because they're worried that their kids will miss too much class. Summer vacation takes that issue away completely - there is no class for them to miss! Summer allows you to schedule an appointment for your children whenever is most convenient for you, without needing to worry about class, homework, or soccer practice. Furthermore, starting braces over summer will let your kids dazzle their friends with a brand new look once they start school again in the fall. We have tons of cool colors to choose from for their brackets, allowing them to customize their braces to fit their own personal sense of style - their friends will be green with envy once they see the cool, stylish colored brackets of brand new braces! Now is truly the perfect time to start orthodontic treatment - not only will is be easy and convenient over summer, but it's the first step towards a brand new, beautiful, and healthy smile that will last your child a lifetime. An improved smile provides a boost of confidence, self-esteem, and happiness that will improve their social and academic life in addition to their oral health. If you're ready to set your child on the path towards excellent orthodontic health we couldn't be more excited to help you! Book an appointment for early June at any of our locations using our easy online form today - we can't wait to hear from you! Remember to check this blog periodically, as we'll be updating it with useful info from the wonderful world of orthodontics, and don’t forget - there's no time like the present to start the path to your perfect smile. Smiles REALLY DO Change Lives! Every year we (Smiles Change Lives) host a “Smile Story” event for all of our kids that are currently in treatment or have graduated from our program. 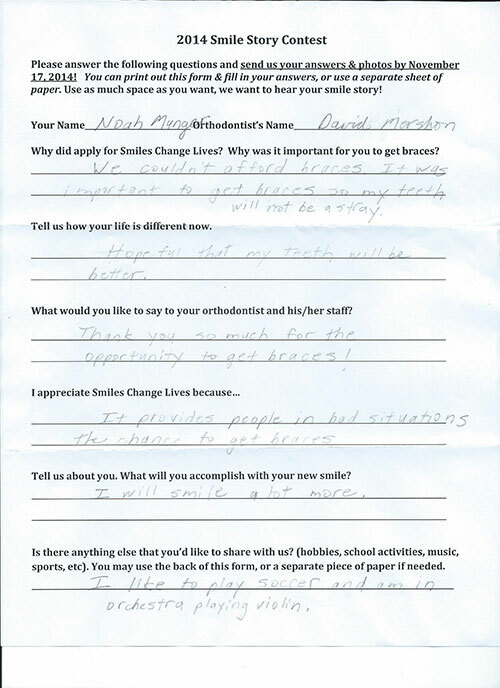 We encourage them to tell us about their new smiles and how it has made an impact on their lives. We pick two winners and they are each awarded a free Philliips Sonicare toothbrush! 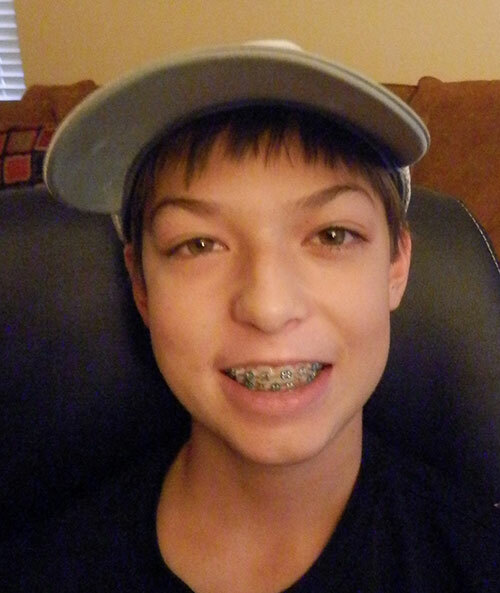 We received an entry from one of your SCL patients, Noah Munger. I have attached his entry and photos as well to this email. One of the questions we always ask our contest participants is “What would you like to say to your orthodontists and his/her staff?” He responded: Thank you so much for the opportunity to get braces! I hope you take the time to read it and pass it along to the rest of your staff. You have truly changed this child’s future forever. Happy Holidays to Dr. Mershon and your wonderful staff! Now that kids are back to school, Fall sports are also starting. And with sports, it is not uncommon that collisions or contact sports and recreational activities can damage braces. There are lots of studies that show people who play sports are at risk of sustaining dental injuries in sporting activities, including organized and unorganized sports at both recreational and competitive levels. This is true not only for obvious contact sports, such as boxing or football, but injuries are also prevalent in non-contact activities and exercises, such as gymnastics and skating. To maintain oral health and protect your braces, the use of a properly fitted mouth guard is the best available protective device for reducing the incidence and severity of sports-related dental injuries. We are committed to oral health promotion and injury prevention for sports participants. Studies of mouth guard users and nonusers have consistently shown that mouth guards offer significant protection against sports-related injuries to the teeth and soft tissues. Mouth guards provide a resilient, protective surface to distribute and dissipate forces on impact, thereby minimizing the severity of traumatic injury to the hard or soft tissues. Indeed, studies show the overall injury risk was 1.6-1.9 times greater when a mouth guard was not worn, relative to when mouth guards were used during athletic activity. For sporting activities that are inherently contact-oriented (e.g., football), protectors or faceguards are also appropriate for added safety and protection. The key educational message is that the best mouth guard is any mouth guard that you use during sport activities. 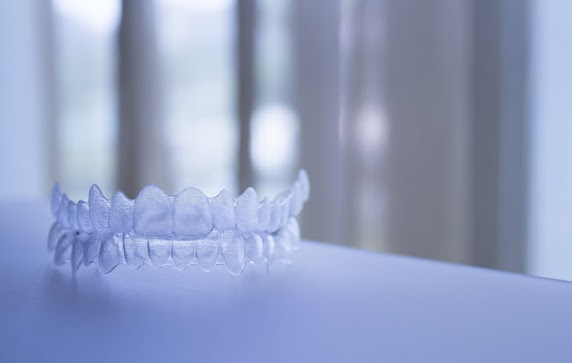 While custom mouth guards are considered by many to be the most protective option, other mouth guards can be effective if they fit well, are worn properly and stay in place. We provide all our athletes in treatment with special mouth guards specially designed to be worn with braces. So please let us know if you play sports! 9) Wave Your Flag! : Whereever you're from, show a little pride in your heritage. Whether it’s the red, white, and blue of the USA, red and white for Canada, or green, white, and red for Mexico, matching the colors with your patriotic pride is a wonderful way to show the world where you’re from. 7) School Spirit: Consider representing your school by smiling its colors. It doesn’t matter if you play in the band, perform on the stage, represent on the field or are just a dedicated student, school spirit shows you take pride in your school. 6) Celebrate good times, come on! : Change your colors to blend with a special occasion. Whether it’s a wedding, a school dance, or any other occasion, matching your outfit and the colors of your smile to the occasion is a great fashion statement. Wow! Wait, its worth saying again: WOW! So we just heard from 5280 regarding their coveted annual awarding of the top dentists and dental specialist (i.e., orthodontists, endodontists, periodontists, etc. ).Of the many hundreds of orthodontists in the state, only about 1 in 5 are recognized as "top Dentists" in 5280 Magazine's annual report. the report is not a popularity contest among patients, but rather developed based on peer voting of other Dentists and Dental Specialists. So you can only imagine how proud we were when not one, not 2, not 3 but ALL 5 OF OUR DOCTORS were recognized in this year's Top Dentists review. Thank you to all of the dentists across the state who have come to recognize our work and felt compelled to vote for us in a polling of what orthodontists they felt were exceptional. We are amazingly honored by the awards.